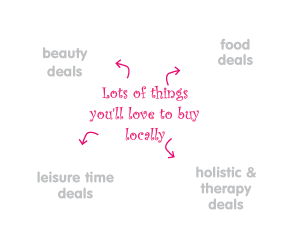 We're a local buying collective - using bulk buying power to save us all money. At the same time, we're also supporting local independently owned businesses in rural communities of North Devon, Exeter and South Devon and North Cornwall by helping them grow local customers and sales. We value independent locals - join us if you do too. Every week we'll email you our latest bulk buy deals for things you'll love to try in your neck of the woods at amazing prices. Add your email address Add your email address now so you don't miss any GrooVee deals - anything from pork to pedicures for local folk at 50-60% off! Don't miss our next GrooVee deal. Sign upSign up now for free!